Walking down turn-of-the-century Escolta was like a stroll though today’s Bonifacio High Street or Eastwood City, where commerce and culture thrived as Manila embraced, willingly or otherwise, the 20th century. Elegantly dressed residents regularly visited this street to visit the numerous boutiques, shops and department stores that sold the latest clothes, cigars, jewelries and other fineries. Automobiles, horse-drawn carriages and Meralco tranvias (tramcars) shuttled them through. Indeed, it was a place to be seen. 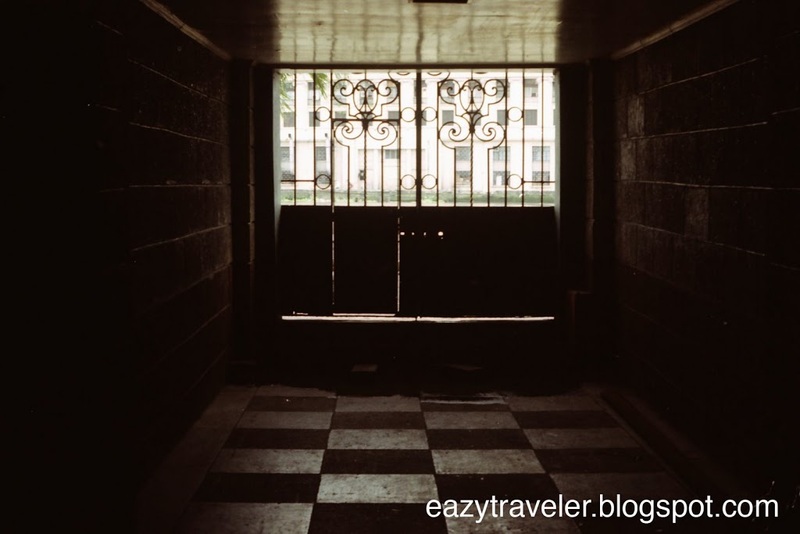 After the destruction of Manila in 1945 and urban development branched out inland to places like Makati and Quezon City, the casual observer can barely see the grandeur of present-day Escolta, an almost unimpressive stretch not unlike any Manila side street. 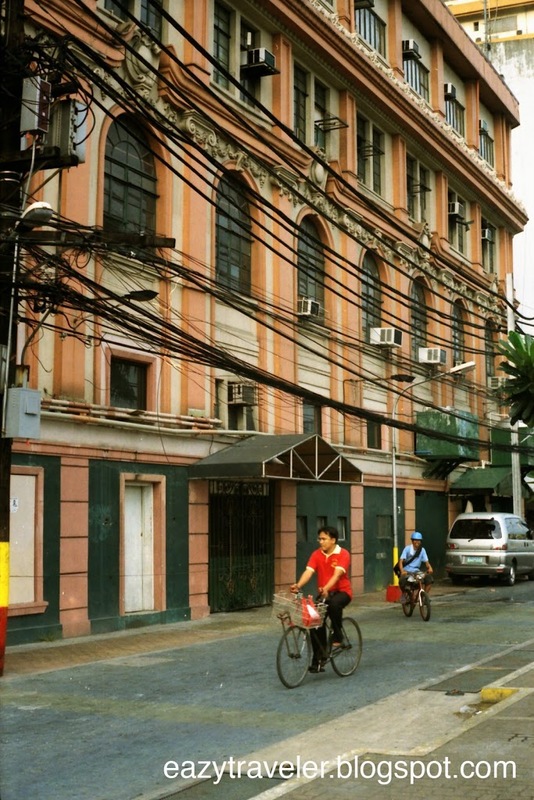 Through the tangled web of electric wires, a second look rewards one with Art Deco and Neo-classical architecture of the well-preserved Regina and Perez-Samanillo Buildings guarding the Sta. Cruz entrance, and further down, the dilapidated Capitol Theater with its fine Filipiniana reliefs. 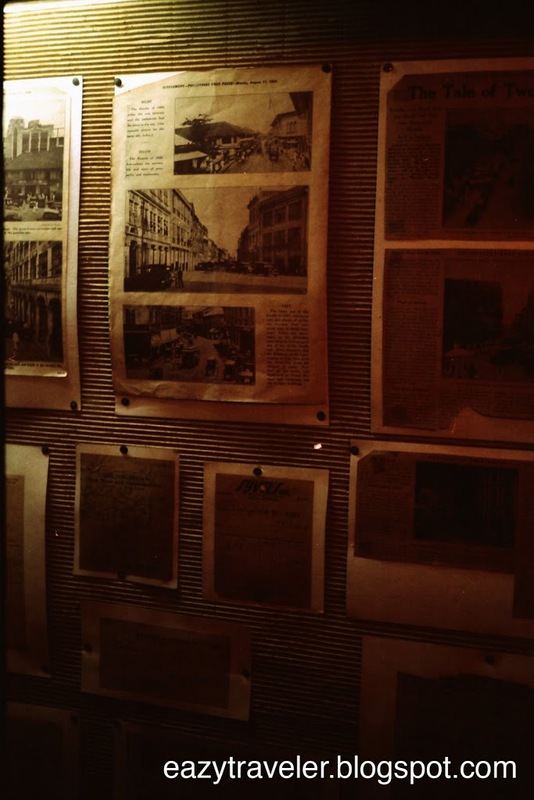 However, a clearer picture of Escolta can be gleaned in a little known museum in Calvo Building (est. 1938). This air-conditioned two-room facility displays crumbly proofs of a bygone era. 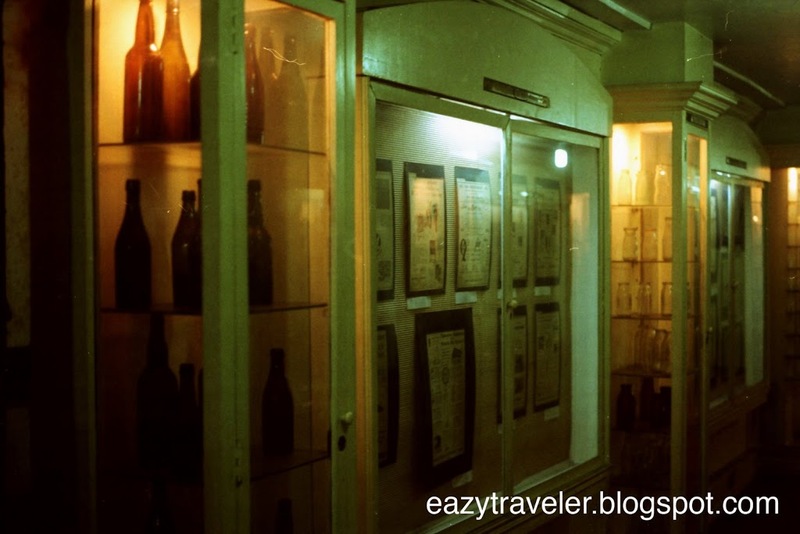 The larger room showcases a vintage bottle collection and scale models of Escolta’s buildings from a collaborative thesis by University of Santo Tomas students in 1996. Want a 795-peso Ford automobile or diamonds for only five? Newspaper advertisements pinned on bulletin boards announce the best bargains in town. More interestingly, on one corner of the small museum, three large pieces of lumber are piled up: tranvia tracks excavated during a road repair in 1998. Nearby, the smaller room displays dusty newspapers, journals and other publications from the Spanish and American periods. While this cruddy museum may not transport you back in time at all, it nonetheless provides tangible and invaluable proof of an Escolta whose vibrant excesses rest nowhere else but in the figment of our imaginations. 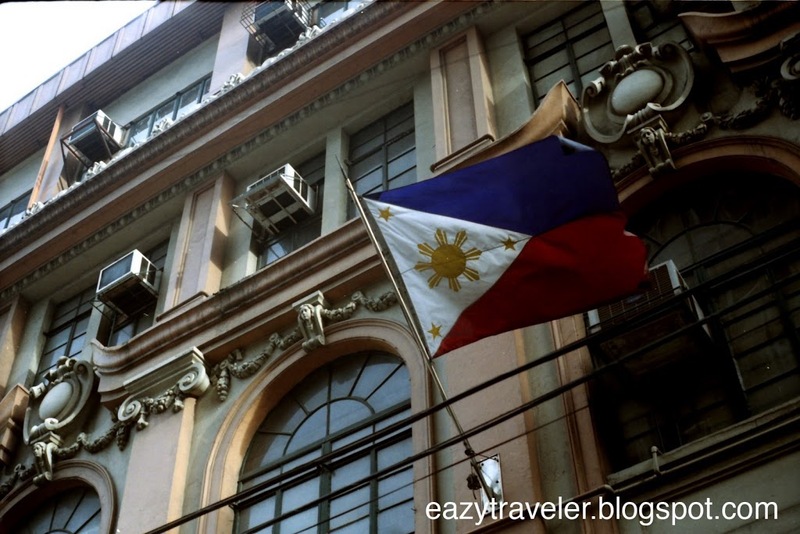 The Escolta Museum (entrance fee: P50/person for a group of at least four; Tel. No. +632 2414538) is located at 2/F Calvo Building, where Mercury Drugstore and Tropical Hut are. If you are alone, special requests can be made. Best way to go to Escolta is by Pasig River Ferry. Get down Escolta Station. For LRT route from Carriedo, check this entry. After exploring, try the delicious Filipino-style fried chicken (P135.00, 1/4 piece with rice and egg) at Savory Restaurant (est. 1950) at the corner of Plaza de Moraga St.
sayang. try fu kui (not sure on spelling) resto. around a 15 minute walk from savory. oyster cake and black pepper ribs. I’ll check that restaurant out the next time I scoot over the area which I do every so often. Thanks for the recommendations and for dropping by!